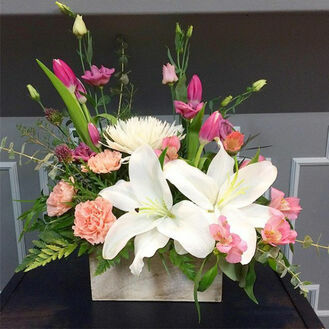 Send stunning flowers from Trillium this Valentine's Day that are guaranteed to impress! 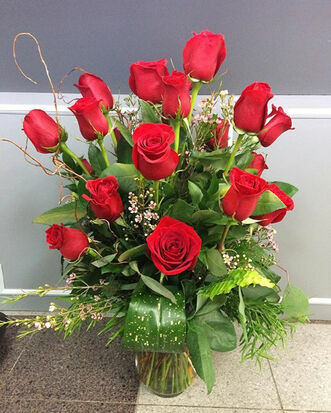 Give us a call or drop in and we will help you design a custom arrangement for the person who stole your heart. 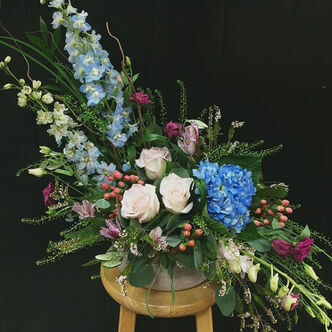 Below you will find examples of our arrangements for inspiration (please note: some substitutions may apply as not all flowers & containers are available) . 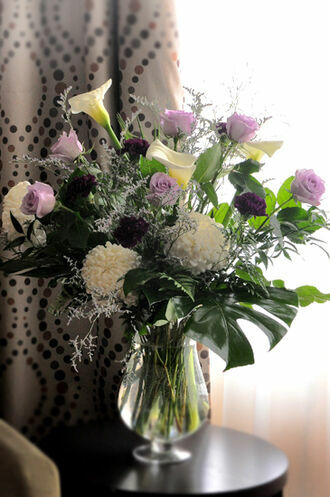 Avoid the last minute rush and call us in advance to arrange delivery or pick up of your flowers. 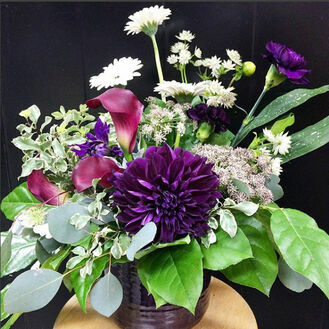 Visit us at the shop to view our full selections! Please note: We will be open our regular hours Valentine's Week. They can be viewed on our Contact Page. Has a girlfriend recently found out that they have a little one on the way? 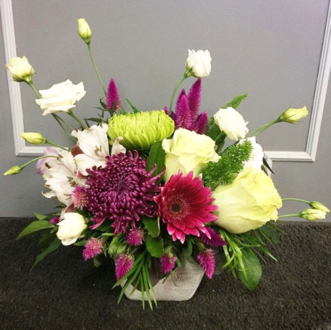 Why not celebrate with a bouquet of flowers in pinks & blues! 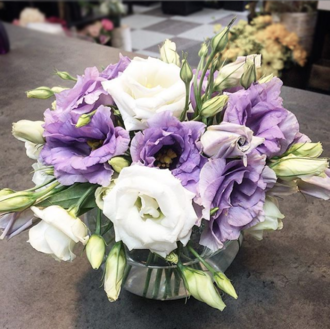 "Thank you so much for the gorgeous wedding flowers, they were absolutely perfect! 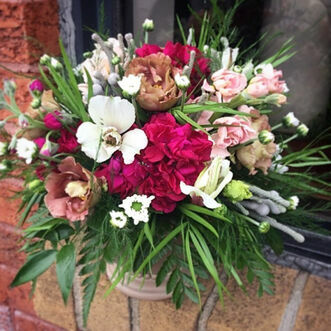 They turned out just as I had envisioned them and were just perfect with our theme." 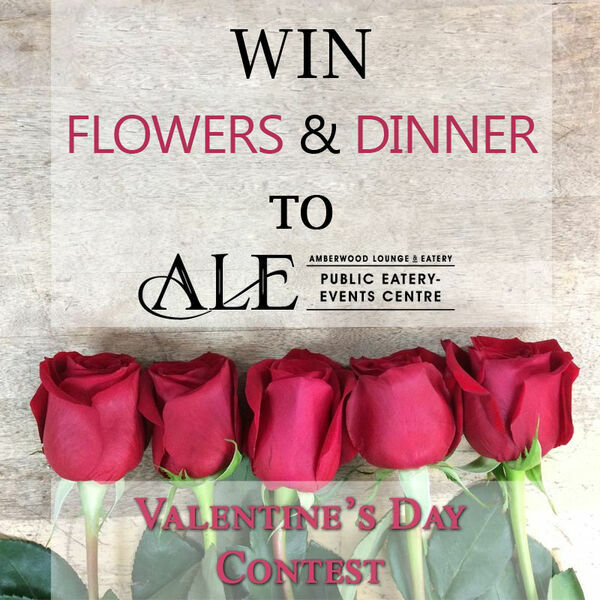 Pre-order a dozen roses (or equivalent) by February 11th & be automatically entered to WIN your flowers + a $100 gift card to ALE - Amberwood Lounge & Eatery in Stittsville.